How to Remove Watermark from the Video? 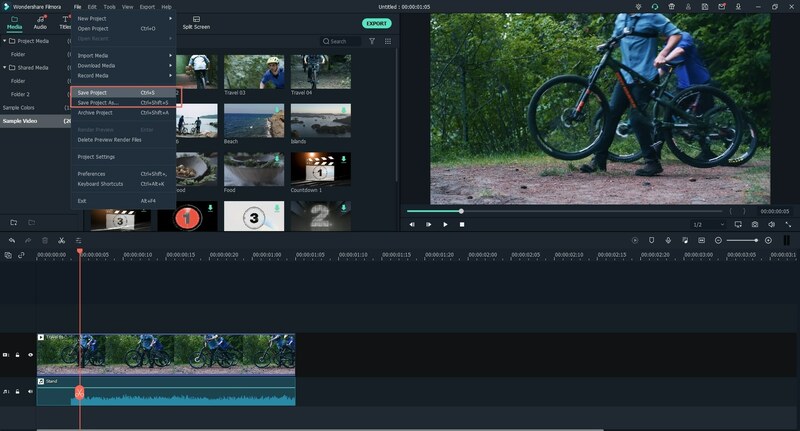 If you're using the free trial version of Filmora Video Editor, you'll see a big watermark on your video after exporting the video. Don't worry! It happens because it is a free trial version. 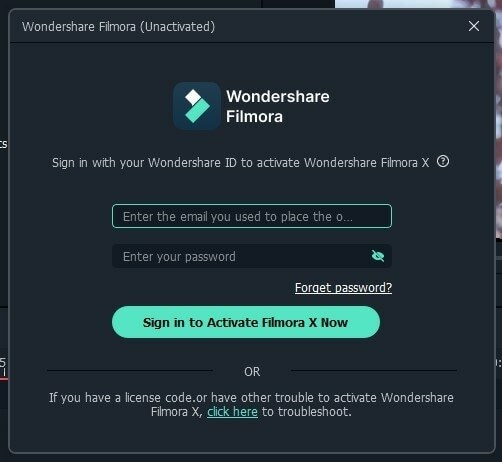 You can delete the watermark on the video by upgrading to the full feature version of Filmora Video Editor. Step 1. Click the "FILE" icon on the top of the main window and select either "Save Project" or "Save Project As" to save the current project on your computer. You know, a project file is not the video, but a file that memorizes the videos you’ve imported and what changes you have done to the video. A project file is with the extension .wve. Please keep the project file as well as source files intact. Note: In order to reopen the project the next time for further editing, don't rename, move, or even delete the source files. Step 2. Click the cart icon or export button to choose a plan to upgrade your account from free to a paid version. Finish the purchasing process and reopen the Filmora Video Editor. Step 3. In the window, click the account icon to update your account info or re-login to the program. Now, you can open a video with no watermark.